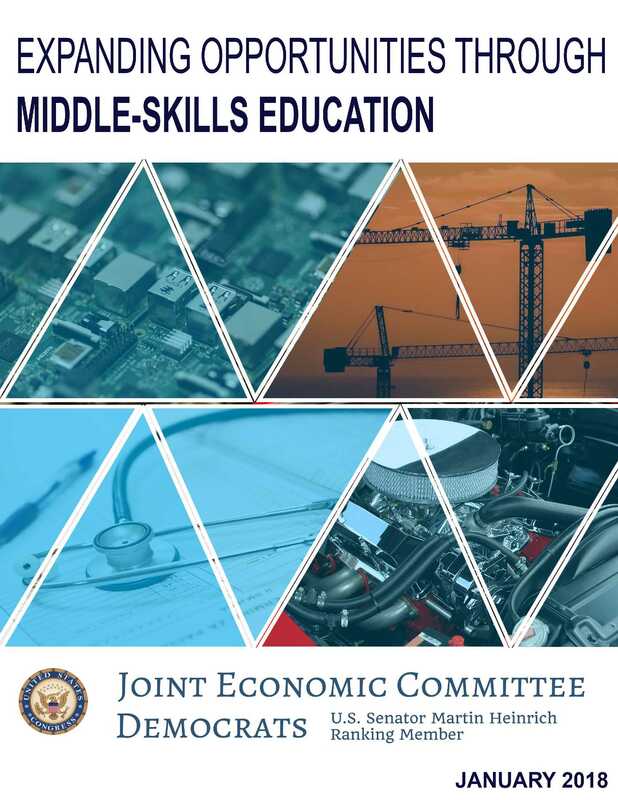 The U.S. Congress Joint Economic Committee Democrats released a report titled Expanding Opportunities through Middle-Skills Education. The study explores “middle-skills” jobs, those that require more than a high school diploma and less than a bachelor’s degree. According to the report, programs that prepare young adults for middle-skill jobs must carefully balance industry-specific skills to more general ones to better equip students for a changing workplace. The “middle-skills” pathway is offered as a potential alternative to a costly bachelors degree, while still offering gainful employment opportunities. The middle-skills sector of jobs comprises 48 percent of U.S. employment and there are 44 million middle-skills jobs that pay more than the national median income, according to the researchers behind the report. The full report can be read online here.